The SpaceX Dragon resupply ship launches atop a Falcon 9 rocket Aug. 14, 2017, from Kennedy Space Center. 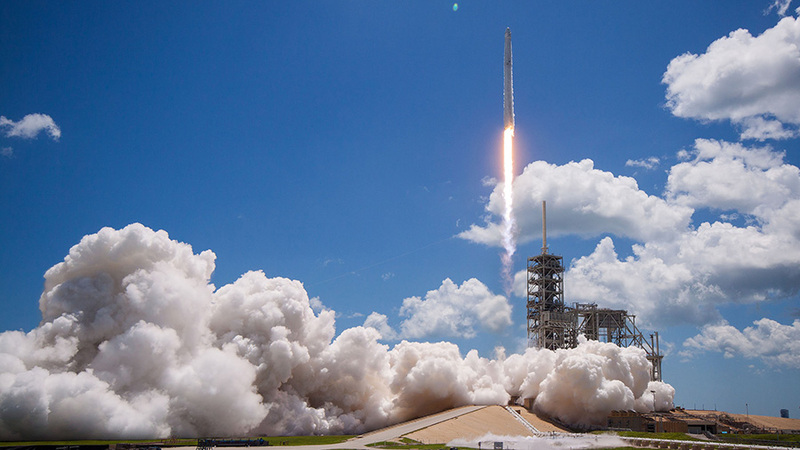 NASA and SpaceX are now targeting no earlier than 11:24 a.m. EST Wednesday, Dec. 13th, for the company’s 13th commercial resupply services mission to the International Space Station. SpaceX requested additional time for prelaunch ground systems checks. A media pad photo opportunity scheduled for 11:30 p.m., Dec. 11 has been canceled. A Dragon spacecraft will launch atop a Falcon 9 rocket from Space Launch Complex 40 at Cape Canaveral Air Force Station in Florida. Dragon is now scheduled to arrive at the space station on Saturday, Dec. 16. Watch live on NASA Television and the agency’s website: www.nasa.gov/live. Join the conversation online by following @space_station. Whilst we completely understand the need for additional ground checks, we are so disappointed this was pushed back……traveled from Australia with my three kids and were so excited to see a launch live after I missed out 16 years ago. Oh well, we’ll just watch the live feed on Facebook and plan another visit in the future. Following on Facebook is amazing and opens up such an amazing world of discovery for ya all. Maybe third time and third generation we will get lucky enough to see a launch live!